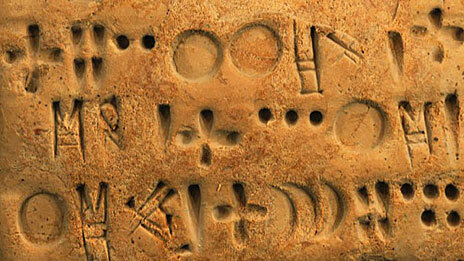 The world's oldest undeciphered writing system, which has so far defied attempts to uncover its 5,000-year-old secrets, could be about to be decoded by Oxford University academics. "I think we are finally on the point of making a breakthrough," says Jacob Dahl, fellow of Wolfson College, Oxford and director of the Ancient World Research Cluster. Dr Dahl's secret weapon is being able to see this writing more clearly than ever before. But that assumes that the amount of carbon-14 in the atmosphere was constant — any variation would speed up or slow down the clock. The clock was initially calibrated by dating objects of known age such as Egyptian mummies and bread from Pompeii; work that won Willard Libby the 1960 Nobel Prize in Chemistry. But even he “realized that there probably would be variation”, says Christopher Bronk Ramsey, a geochronologist at the University of Oxford, UK, who led the latest work, published today in Science1. Various geologic, atmospheric and solar processes can influence atmospheric carbon-14 levels. 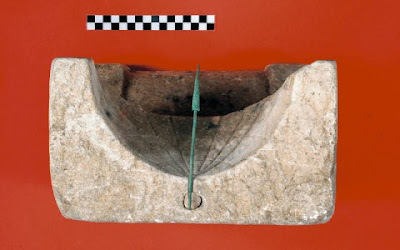 One of the rarest sundials dating from the Greco-Roman period was found in Polichrono in Chalkidiki, northern Greece. This sundial is not a usual one as it shows the correct time at any given place. It is noteworthy that in the Ancient Greek world, sundials consisted of a gnomon (indicator) in the form of a vertical post or peg set in a flat surface, upon which the shadow of the gnomon served to indicate the time. This sundial has a surface which is separated in 12 parts representing 12 hours of the day. More particularly, the sundial consists of a hyperbola tracing the shadow’s path at the winter solstice, a second one for the summer solstice, and a straight east-west line in between marking the equinoctial shadows. Professor Alice Roberts is back on our screens next week with Prehistoric Autopsy, which sees a team of experts reconstructing some of our ancient ancestors. We caught up with Alice to ask her about the three early human relatives that will feature in the programme. "Our closest living relatives – chimpanzees – stand on two legs. The distinction is, are you a habitual biped? To get from A to B, is that your locomotion of choice? If it is, that causes changes in your anatomy. Lucy’s skeleton had these changes, and it’s very similar to our skeletons." "Another piece of evidence is the ‘Laetoli footprints’ from Tanzania. One expert on Prehistoric Autopsy is Robin Crompton, who’s studied Lucy’s gait, primarily by analysing the Laetoli footprints and how they represent stepping onto the ground – compared with humans and chimpanzees. The way we form footprints reflects the pressures applied at different points, because the whole of your foot doesn’t hit the floor at the same time: pressure comes through the heel, then down onto the ball and onto the toes. And when Robin looks at Lucy’s footprint, it appears quite similar to the way we walk." 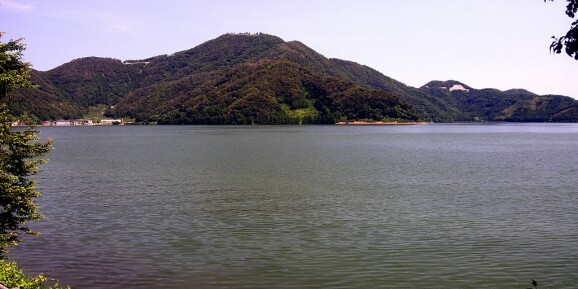 A new series of radiocarbon measurements from Japan’s Lake Suigetsu will give scientists a more accurate benchmark for dating materials, especially for older objects, according to a research team that included Oxford University’s Radiocarbon Accelerator Unit. The research team extracted cores of beautifully preserved layers of sediment, containing organic material (such as tree leaf and twig fossils), from the bottom of the Japanese lake where they had lain undisturbed for tens of thousands of years. As an article in the journal Science explains, the findings are hugely significant because they provide a much more precise way to examine radiocarbon ages of organic material for the entire 11,000-53,000-year time range. For example, archaeologists should now be able to pinpoint more accurately the timing of the extinction of Neanderthals or the spread of modern humans into Europe. At the Oxford Radiocarbon Accelerator Unit, Professor Christopher Ramsey with his doctoral student Richard Staff and chemist Dr Fiona Brock worked with two other radiocarbon laboratories (the NERC facility at East Kilbride, Scotland, and Groningen in the Netherlands) on the radiocarbon record from the lake. This research is part of a large international research team, led by Professor Takeshi Nakagawa of Newcastle University, studying the cores for clues about past climate and environmental change. Alepotrypa Cave was home to a Neolithic community more than 5,000 years ago. The first archaeologist to dig inside unearthed hundreds of burials and hypothesized that the cave was believed to be Hades, or the underworld in Greek mythology. A Field Museum curator is digging around a cave in Southern Greece that’s been compared to the mythical underworld, Hades. That cave might help explain why people choose to migrate to big cities or high tail it to the suburbs. And it has a surprising Chicago tie. William Parkinson is the associate curator of Eurasian anthropology at the Field Museum. He is on a research team, called The Diros Project, made up of two Greek and two American archaeologists (both Chicago natives). They are excavating Alepotrypa Cave, which is nearly four football fields long. The researchers compare the most striking room in the cave to a Cathedral. Archaeologists have uncovered the remains of what they believe could be an Bronze Age bathing site, or a sauna. The metre-deep pit with a channel to a nearby stream was discovered at Stronechrubie, Assynt, in the north west Highlands. The find was made by the Fire and Water Project, which is run by archaeology and history group Historic Assynt. 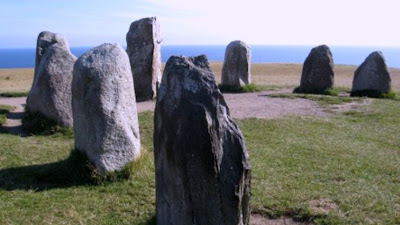 The project team had been trying to understand what a crescent shaped mound of stones had been created for. Excavations at the mound by archaeologists and volunteers unearthed the pit and channel from beneath a layer of clay. Swedish archaeologists have unearthed what is presumed to be a dolmen, or a portal tomb, that is believed to be over 5,000 years old near the megalithic monument Ale’s stones in southern Sweden. ”The findings confirm what we have believed; that this has been a special place for a very long time,” said archaeologist Bengt Söderberg to news agency TT. On Saturday, the first day of the dig, the scientists already had a hunch that they would find something on the site, expecting a Stone Age grave and a Bronze Age monument. And since, the hunch has become stronger. VOLUNTEER archaeologists in Blackbird Leys had a shock on their second day of digging yesterday, when they stumbled upon a 4,000-year-old artefact. Around 20 people started digging near the Kassam Stadium on Tuesday, as part of a five week project to learn more about the area’s history. Organised by the lottery-funded Archaeology of East Oxford Project (Archeox), the diggers hope to discover information about a 12th century priory on the site. But they got more than they bargained for at the site on Minchery Farm Paddock yesterday morning. Project manager Jane Harrison said: “It was pretty exciting. I got into the trench we have there, took four swipes with a trowel and it just popped up. Neanderthals ... They're Just Like Us? Like some other Neanderthals, "Wilma," a DNA-based reconstruction, was red-headed, freckled, and fair. Science has long since killed off the notion of that witless caveman, but Neanderthals have still been regarded as quintessential losers—a large-brained, well-adapted species of human that went extinct nevertheless, yielding the Eurasian continent to anatomically modern humans, who began to migrate out of Africa some 60,000 years ago. Lately, the relationship between Neanderthals and modern humans has gotten spicier. The Oxford Experience summer school offers one-week introductory classes in the humanities and sciences, including a number of archaeology courses. 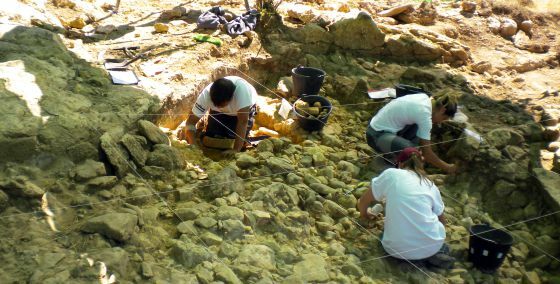 Europe’s oldest urban settlement is near Provadia, a town of about 13 000 people about 40km inland from Bulgaria’s Black Sea city of Varna, according to archaeology Professor Vassil Nikolov, citing evidence from work done at the Provadia – Solnitsata archaeological site in summer 2012. 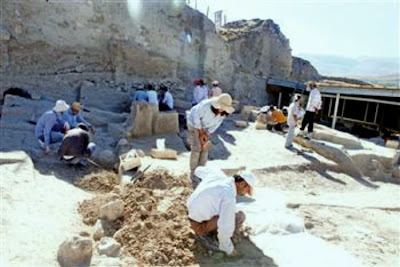 The team of archaeologists headed by Nikolov excavated stone walls estimated to date from 4700 to 4200 BCE. The walls are two metres thick and three metres high, and according to Nikolov are the earliest and most massive fortifications from Europe’s pre-history. There were about 300 to 350 people living at the site in those times, living in two-storey houses and earning their living by salt mining. To this day, Provadia is an important salt centre, with a large-scale foreign investor represented in the area. Estimates are that salt has been extracted in the area for about 7500. When two large bronze sculptures dating back to the fifth century BC were hauled out of the sea just off the coast of Calabria almost 40 years ago, the Italian authorities and international academics were quick to recognise it as one of the most important archeological discoveries of the century. 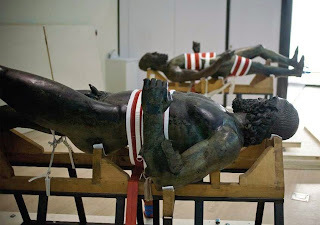 Yet today these extraordinary finds are languishing on stretchers in a regional government office in Reggio Calabria and it is unclear when they will be put back on display. The sculptures, known as the Riace Bronzes after the nearest town on the coast to their findspot, are one of the few surviving examples of bronzes made by the master sculptors of ancient Greece (most sculptures of this age were melted down and the bronze re-used). After they were found by divers, they were taken to Florence’s Opificio delle Pietre Dure to be restored. They were exhibited in 1980 at the Museo Archeologico Nazionale in Florence, where they were seen by 1.3 million people. They then travelled through Italy, via Rome, back to Calabria for display in Reggio Calabria’s archaeology museum, which claimed the works as its own. They remained there until 2009, when the museum was closed for renovation, and were transferred to the council offices. 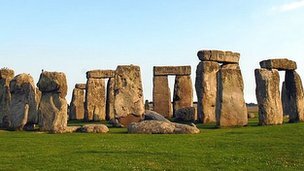 Like any corner-cutting modern builder, the ancient stonemasons who built Stonehenge lavished the most work and best materials where they would be first seen –shining in the last light of the setting winter solstice sun, or at dawn on the longest day. The first complete 3D laser scan of the stone circle has also revealed tool marks made 4,500 years ago, scores of little axehead graffiti added when the enormous slabs were already 1,000 years old, and damage and graffiti contributed by Georgian and Victorian visitors. The survey, carried out for English Heritage, exposes numerous details now invisible to the naked eye and will be used in displays for the long-awaited new visitor centre, due to open late next year. It shows the stones in unprecedented precision, from the double-decker bus height sarsens from Salisbury Plain that give the monument its unmistakable profile, to the smaller bluestones brought from west Wales by means still hotly debated, and the stumps of stones that have almost been destroyed. 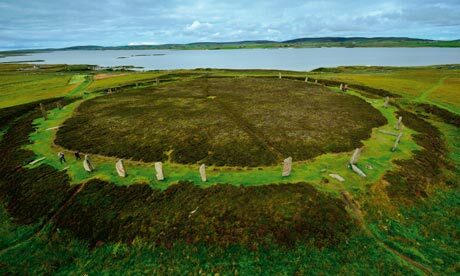 Circle of life: the Ring of Brodgar – a stone circle, or henge – is a World Heritage Site. Drive west from Orkney's capital, Kirkwall, and then head north on the narrow B9055 and you will reach a single stone monolith that guards the entrance to a spit of land known as the Ness of Brodgar. The promontory separates the island's two largest bodies of freshwater, the Loch of Stenness and the Loch of Harray. At their furthest edges, the lochs' peaty brown water laps against fields and hills that form a natural amphitheatre; a landscape peppered with giant rings of stone, chambered cairns, ancient villages and other archaeological riches. The UK’s largest archaeology programme has uncovered its first Bronze Age find as it continues a search for remains of a 3,500 year old Bronze Age transport pathway along the same route that London’s newest railway, Crossrail, will follow in east London. The first Bronze Age artefacts for Crossrail come as Europe’s largest construction project opens a month long exhibition in London to showcase its archaeology finds to-date. Among the exhibits are medieval human bones found at Liverpool Street, the UK’s largest rare amber find and a piece of mammoth jaw bone. The items have been found during archaeology digs at Crossrail worksites across London. 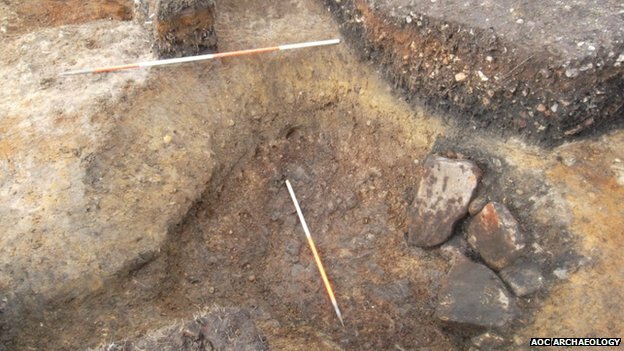 The Bronze Age finds include two wooden stakes that have been cut by early London hunters with an axe, and which may have been used to build a timber pathway, and a hammer stone used as a tool. The discovery has been made during excavations at the Plumstead tunnel entrance in east London where two tunnel boring machines will begin constructing Crossrail’s Thames Tunnels early next year. Excavations of the site are continuing this week. A new search has begun at a Greek island where an ancient device known as the world's "oldest computer" was found over a century ago, an official said, adding that other discoveries were possible. 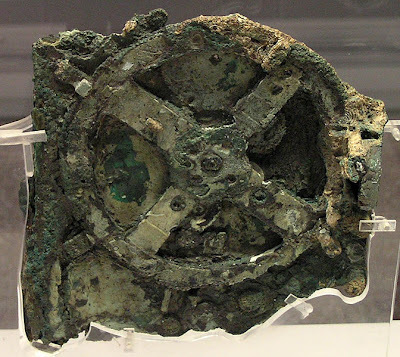 Archaeologists this week returned to Antikythera, the Aegean Sea island where sponge divers in 1900-1901 found the so-called Antikythera Mechanism, a remarkable 2nd-century BCE device that tracked the cycles of the solar system. "These are unexplored sea depths beneath a trade route known since antiquity," said Angeliki Simosi, head of Greece's ephorate of underwater antiquities. "This is virgin territory." 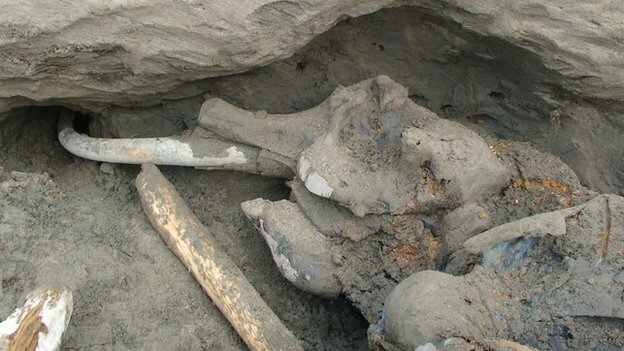 A well-preserved mammoth carcass has been found by an 11-year-old boy in the permafrost of northern Siberia. The remains were discovered at the end of August in Sopochnaya Karga, 3,500km (2,200 miles) northeast of Moscow. A team of experts from St Petersburg then spent five days in September extracting the body from frozen mud. The mammoth is estimated to have been around 16 years old when it died; it stood 2m tall and weighed 500kg. It has been named Zhenya, after Zhenya Salinder, the 11-year-old who found the carcass while walking his dogs in the area. Mannequin of a Tautavel Man—would he have had known how to make fire? Photo credit by Eric Cabanis/AFP/Getty Images. The heated archaeological debate about which hominids first started cooking. Richard Wrangham, an anthropologist at Harvard, claims that hominids became people—that is, acquired traits like big brains and dainty jaws—by mastering fire. He places this development at about 1.8 million years ago. This is an appealing premise no matter who you are. For those who see cooking as morally, culturally, and socially superior to not cooking, it is scientific validation of a worldview: proof that cooking is literally what makes us human. For the rest of us, it means we have a clever retort the next time one of those annoying raw-food faddists starts going on about how natural it is never to eat anything heated above 115 degrees Fahrenheit. There’s one problem with Wrangham’s elegant hypothesis: It’s hardly the scientific consensus. In fact, since 2009, when Wrangham explained his theory in the book Catching Fire, several archaeologists have come forward with their own, wildly divergent opinions about what is arguably the oldest intellectual property debate in the world. Who really mastered fire, in the sense of being able to create it, control it, and cook with it regularly? Was it Homo erectus, Neanderthals, or modern humans? 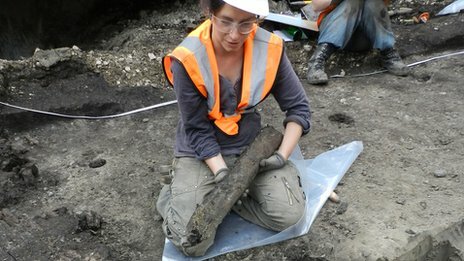 Wood found during excavation work for Crossrail could be evidence of a 3,500-year-old Bronze Age transport route through London, experts believe. Archaeologists examining a site in Plumstead have been searching for the pathway, which ran along the same route of the new rail link in east London. They have unearthed wooden stakes which they say may have been used in the construction of the transport link. Crossrail archaeologist Jay Carver said it was a "very significant find". 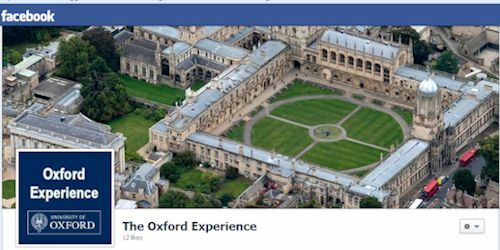 The Oxford Experience - an Oxford University summer school that offers many courses in archaeology and history - now has a Facebook site. 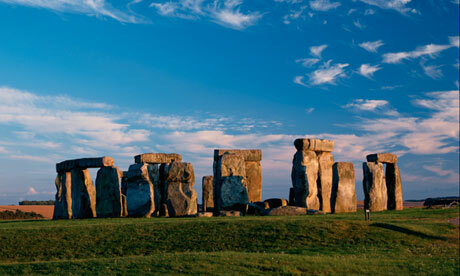 A contract to build three life-sized Neolithic homes at Stonehenge in Wiltshire has been put out to tender. English Heritage is inviting contractors to bid for the £60,000 project, which is part of a £27m scheme to improve the setting of the monument. Using authentic materials, the prehistoric homes will be based on those excavated at Durrington Walls. 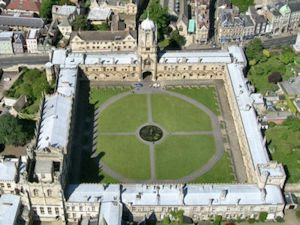 English Heritage said the buildings will provide a "real and tangible link for visitors to the distant past". The £27m scheme to build a new visitor centre and close the road alongside the ancient monument, was begun in July. A 6,500-year-old tooth packed with beeswax could represent the earliest evidence of a dental filling, newly-published research has announced. Found in part of a human jaw excavated in a cave near Lonche, Slovenia, the tooth is a left canine, thought to have belonged to a man aged between 24 and 30. Research led by Federico Bernardini and Claudio Tuniz of the Abdus Salam Centre for Theoretical Physics in Italy examined a vertical crack in the tooth, which had been filled with a resinous substance. Now analysis published in the journal PLOS ONE has revealed this to be beeswax, possibly used to alleviate pain and sensitivity when chewing on the broken tooth. A skeleton uncovered north of Vienna is forcing archaeologists to take a fresh look at prehistoric gender roles after it appeared to be that of a female fine metal worker - a profession that was previously thought to have been carried out exclusively by men. 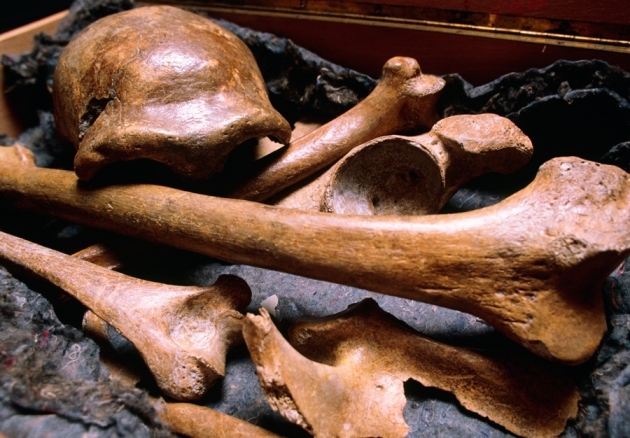 The Museum of Ancient History in Lower Austria says the grave originates from the Bronze Age around 2,000 years before the birth of Christ, and that the bones belonged to a woman who would have been aged between 45 and 60. The museum says tools used to make metal ornaments were also found in the grave at Geitzendorf Northwest of Vienna, leading to the conclusion that it was that of a female fine metal worker who had been given the items to take with her into the afterlife. The items included an anvil, hammers and flint chisels as well as some small items of dress jewellery that may well have been made by the woman herself. Thousands of rock carvings discovered at the beginning of the 1990s in the ancient city of Heraklia at Latmos in southwestern Turkey are faced with destruction due to plans to open a stone quarry at the site. 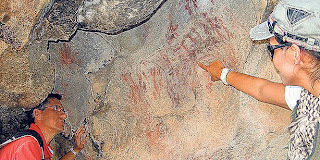 At the beginning of the '90s, many rock carvings were discovered at the Five Finger Mountains in research by Dr. Anneliese Peschlow-Bindokat from the German Archaeological Institute. The carvings have been dated to the sixth to fifth centuries B.C., and are considered one of the most significant discoveries of Near Eastern archaeology. However, seven feldspar stone quarries have been opened in the vicinity to meet the demand for raw material to be used in the production of glass, ceramics and in the dye industry in recent years. There are now new plans to opening further quarries close to the site where most of the carvings are located. According to the Radikal daily, Peschlow is now preparing a report for the United Nations Educational, Scientific and Cultural Organization (UNESCO) and the Muğla and Aydın Board of Cultural and Natural Heritage to save the area from destruction. What did Britain look like before mankind turned up and started changing things thousands of years ago? It's a question many people ask – and now some answers are being found on the roof of Dartmoor. 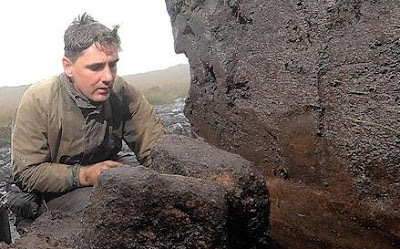 Using the latest technology in two separate projects, scientists have been delving into the moor's infamous peat bogs to find out what the world was like when extinct creatures like the giant aurochs were still roaming around the South West. Palaeoecological and archaeological surveys of Dartmoor Mires Project restoration areas have been undertaken by Dr Ralph Fyfe and his team at the University of Plymouth, while Dr Phil Newman has produced an extensive and up-to-date study of the peat-cutting industry on the north moor. Excavations at the Aslantepe tumulus near the central Anatolian city of Malatya have unearthed a large building containing two spearheads and a necklace, all of which appear to date to the early trans-Caucasian culture. Excavation work continued this year on part of a structure in the southern portion of the tumulus that is believed to be the world’s first palace, the head of the Aslantepe excavations, Professor Marcella Frangipane of Rome’s La Sapienze University, told members of the press. Some other buildings found to the north of the palace in earlier phases of the excavation date from the Bronze Age, she said. 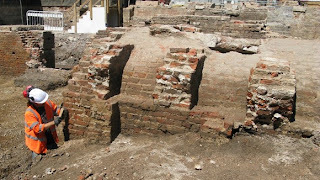 “We also dug below part of a city wall dating back to 2,800 B.C., and found a palace hall underneath it. In the middle of this hall, we found a large Bronze-Age building, reflecting features common to the early trans-Caucasian culture. So far only smaller buildings belonging to this culture have been discovered; this is the first time we have found such a large building. It shows us that there was an important person here,” Frangipane said. A piece of nettle cloth retrieved from Denmark's richest known Bronze Age burial mound Lusehøj may actually derive from Austria, new findings suggest. 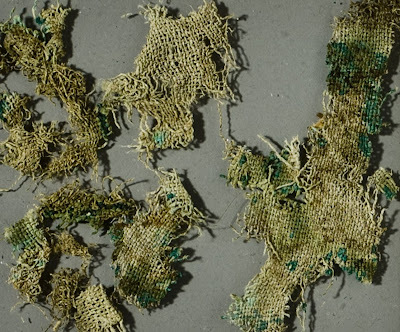 The cloth thus tells a surprising story about long-distance Bronze Age trade connections around 800 BC. 2,800 years ago, one of Denmark's richest and most powerful men died. His body was burned. And the bereaved wrapped his bones in a cloth made from stinging nettle and put them in a stately bronze container, which also functioned as urn. 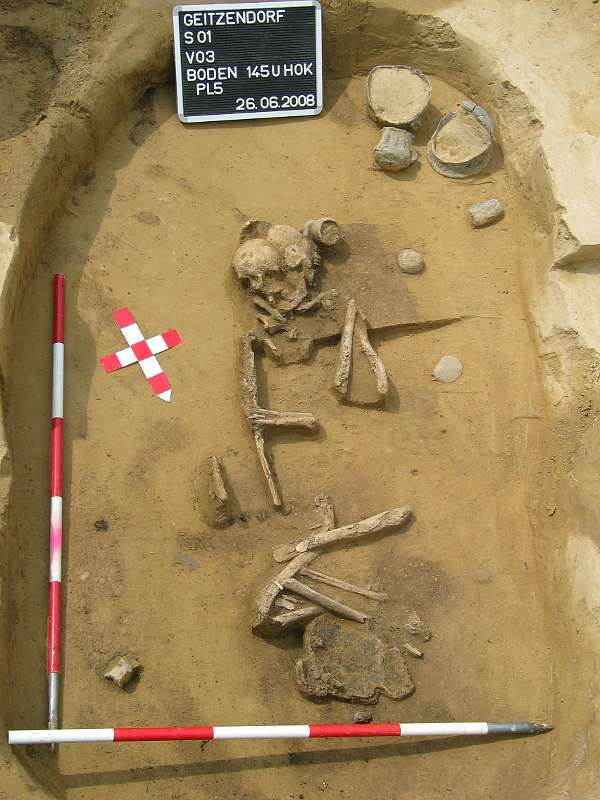 Now new findings suggest that the man's voyage to his final resting place may have been longer than such voyages usually were during the Bronze Age: the nettle cloth, which was wrapped around the deceased's bones, was not made in Denmark, and the evidence points to present-day Austria as the place of origin.